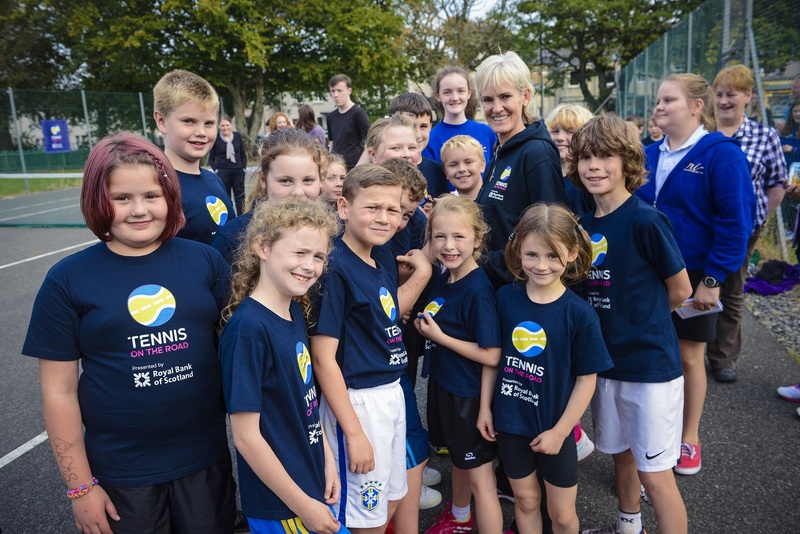 British Fed Cup Captain Judy Murray got the children of Stornoway “Set4Sport” during a Tennis on the Road taster session. Raising a pair of Grand Slam champions, Judy Murray is not only the mother of Andy and Jamie, but the British Fed Cup Captain is also hoping to lay the groundwork for the future of Scottish tennis. 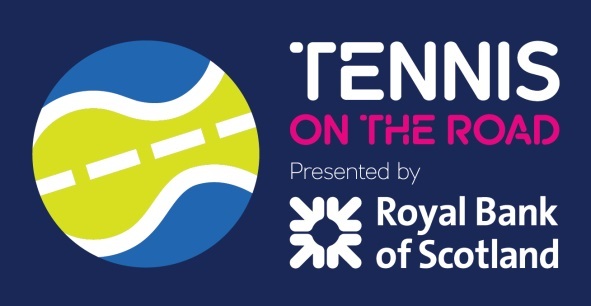 The veteran coach and Strictly Come Dancing contestant has partnered with Royal Bank of Scotland to unveil her latest venture, Tennis on the Road. Debuting in September, Tennis on the Road introduces cities all over Scotland to Murray’s own Set4Sport, which teaches parents the games she played with Andy and Jamie played as they grew up. Using low-cost household objects, Murray utilized these games to teach her children the fundamentals of athletic activity, developing their agility, balance and coordination – the “ABCs” of sport – in the process. Looking to spread a love of sport to the farthest reaches of Scotland, Murray and Royal Bank of Scotland kicked things off at the Bunabhainneadar tennis court on the Isle of Harris, the most remote tennis court in the British Isles. 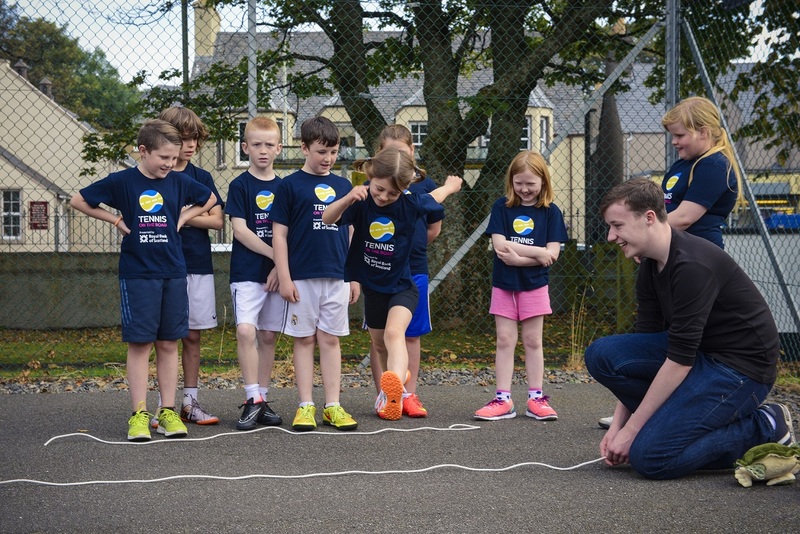 The tour then moved to Stornoway, where Tennis on the Road presented a successful taster session for the local youth. With the project coming on the heels of son Andy’s Wimbledon triumph, Murray feels the country is ripe for wider involvement in tennis and athletics at large. For Royal Bank of Scotland, Tennis on the Road represents a new and exciting chapter in its partnership with the Murray family. A supportive force since the younger Murray’s junior days, RBS is wholeheartedly behind the family’s latest endeavor. Tennis on the Road rolled into Cumbernauld earlier this month, unveiling a three-day roadshow for over 150 parents, coaches, teachers, and volunteers. Home to around 50,000 people, Cumbernauld is an area primed for tennis thanks to Tennis Scotland and North Lanarkshire Leisure, whose combined efforts have helped to integrate tennis into the school curricula of more than 4,000 children. Doc McKelvey, Tennis Scotland’s Head of Development, believes Tennis on the Road‘s uncomplicated approach and focus on fun will be the keys to its continued success. Though her eyes are on the Strictly prize, Murray is looking forward to getting back on the Road later this year, taking the tour into a new city, racquet in hand. To learn more about Tennis on the Road or if you are interested in getting the FREE roadshow to your local community, please go to www.tennisontheroad.com!